How to make Narikolor laru ? Do you know ? If you don’d know then read this post and learn how to make Narikalor laru (Coconut Ladoo) People of Assam also making Narkalor Laru during Bhogali Bihu. Narikalor laru is a sweet dish. It’s also a traditional dish in Assam and almost all over India. In Assamese Narikal mins Coconut. I already post Tekeli Pitha. Cow Milk ( Gakhir ) – 2.5 Cups. White Sugar ( Cheni ) – 2 Cups. Camphor ( Camphur ) – a pinch. Take a Pan and boil the milk. When Milk start boiling add 2 cups of grated Coconut ( Narikal ) and mix very well. When the Coconut ( Narikal ) has finished absorbing milk add Sugar. make sure the mixture does not stick at the bottom. and add the pinch of camphor and turn off the heat. When mixture going cool make small size ladoo. 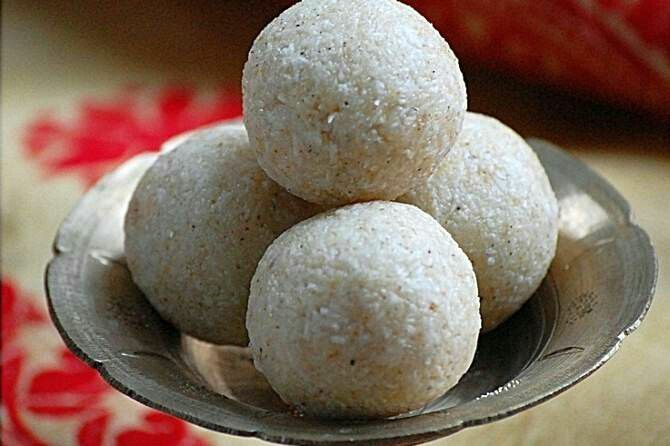 you can also check Sunga Pitha. how are already made Narikalor laru comment bellow at comment section. if like this recipe share with your friends.